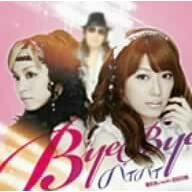 Satoda Mai will release a new single with Gouda Kazoku on 2009-06-17, the single is titled Dont leave me. The group name change from Gouda Kyoudai to Kazoku is due to the addition of one new member, Kanbe Ranko. Today it would seem #4 is the magic number with Satoda Mai’s new single Bye Bye charting at #4 in the Oricon single charts, Berryz Koubou’s new album charting at #4 in the Oricon album charts and Kamei Eri’s new DVD charting at #4 in the DVD charts! Not bad all round~! The Hello! Project Official Website has uploaded a new profile picture for Satoda Mai and I must say Satoda’s looking fiiine! It’s about time she had a new profile picture though I can’t help but feel it’s a little late as she’s graduating in around 4 months.